Chocolate holds a mysterious power! Many have tried, but few have been able to resist it’s seductive allure. 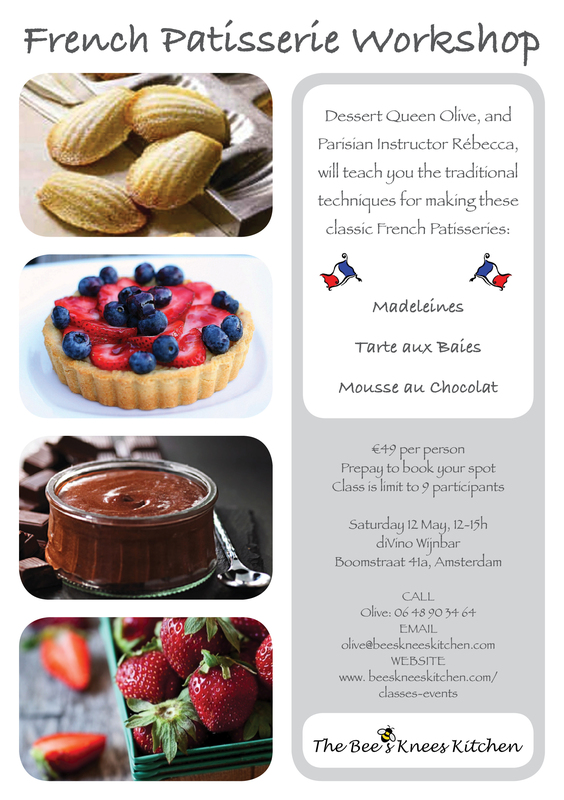 This workshop will teach you three delicious chocolate treats to broaden your chocolate repertiore. 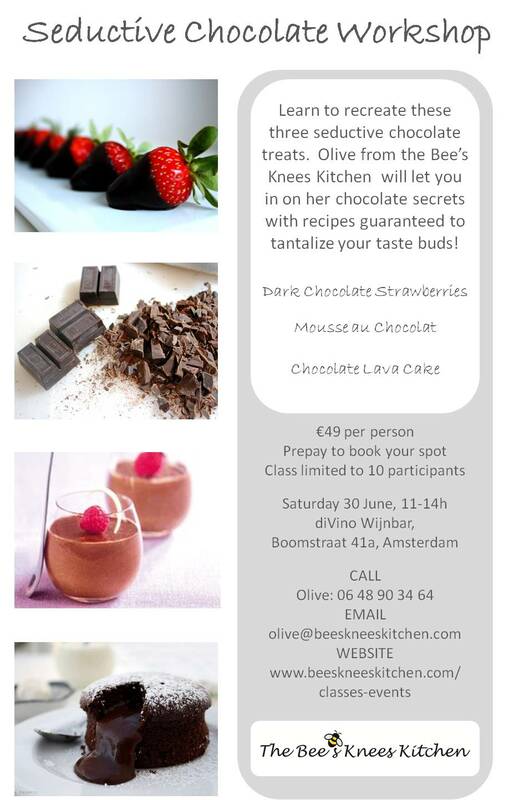 Choc-o-holic Olive from the Bees Knees Kitchen will let you in on her chocolate secrets with recipes guaranteed to tantalise your taste buds! Prepay to book your spot. Class is limited to 10 participants. Hey ladies it’s Spring Cleaning time – but the kind that doesn’t involve rubber gloves or dusting. It’s time to clean out your wardrobe of those bits and pieces that lurk in the back and don’t get worn. One girl’s trash is another girl’s treasure! 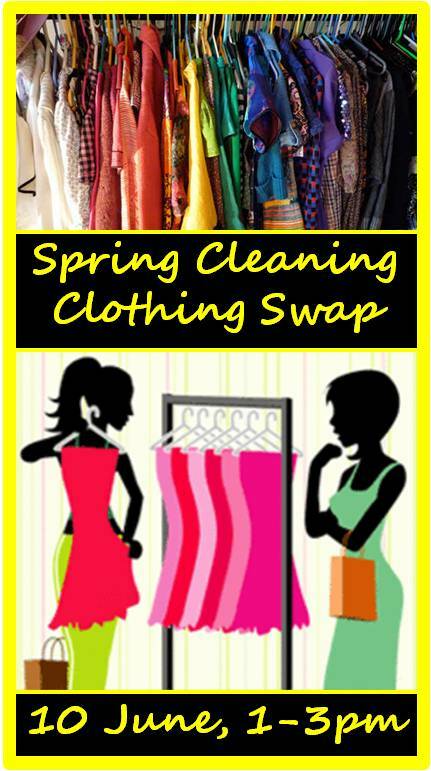 Bring your unwanted clothes, shoes, jewellery, unopened cosmetics (and even books!) and update your own wardrobe without having to spend a fortune at the shops. Tell your friends – the more swappers, the more items available. Also, please feel free to bring books as well! €2 door fee to cover costs. Wine, tea, coffee and cupcakes available for purchase to keep your strength up! Most people say that the aroma of freshly baked bread is their favourite smell and that nothing tastes better than bread straight from the oven. Most people also think that baking bread is scary and difficult! 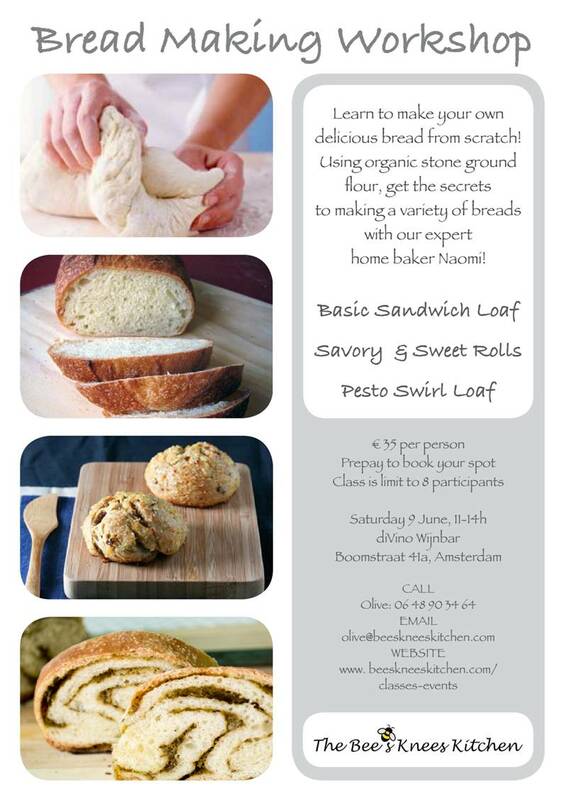 Let Olive from The Bees Knees Kitchen and expert home baker Naomi take the mystery out of bread baking with tips, tricks and fail safe recipes that will give you the confidence and know how to make your own delicious bread at home. Feel free to check out the photos of the event on facebook or meetup.com. Have you ever looked in the window of a French boulangerie and wished you could fill your carryon baggage with tasty delicacies to take home? French pastries are considered the crème de la crème of baked delights for good reason and just looking at a croissant recipe is usually enough to put any home cook off trying to make these tricky treats. Never fear! Dessert queen Olive and Parisian instructor extraordinaire Rébecca are here to help you learn the secrets of three classic French sweet treats. Oh la la! Calling all dessert queens and cake kings! Do you live in your kitchen? Fall asleep with your face in a recipe book? Amaze and delight your friends with your culinary prowess? Then this is the competition for you. Come show off your skills at the first Bees Knees Kitchen Dessert Competition to win tickets to Cirque du Soleil! 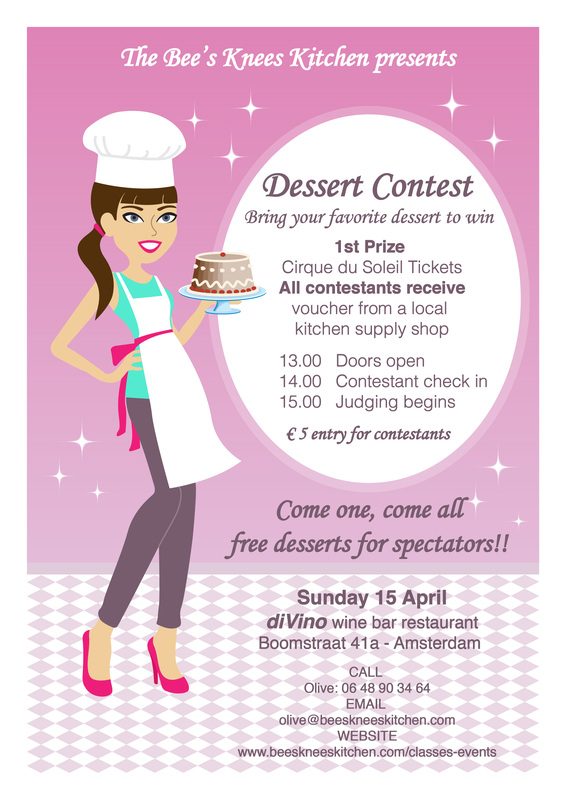 To enter bring your best dessert creation to diVino on Sunday 15 April. Doors open at 13:00 and all contestants must be present with their (pre-made) dessert in hand by 14:00 in order to qualify for judging. Judging begins at 15:00. Entry for contestants is €5. There is no limit on ingredients, style or presentation. Whether it’s cooked, raw, vegan or full-dairy splendor all entries are accepted so let your imagination run wild. The grand prize is two tickets to Corteo a spectacular show by the world renowned Cirque de Soleil. All contestants will also receive a € voucher to a local Kitchen Supply Shop, so every contestant wins. Not a kitchen wiz? Never fear. This event is open to all and hungry spectators are welcomed. Entry is free for non-competitors so bring a sweet tooth! It’s International Women’s Day! 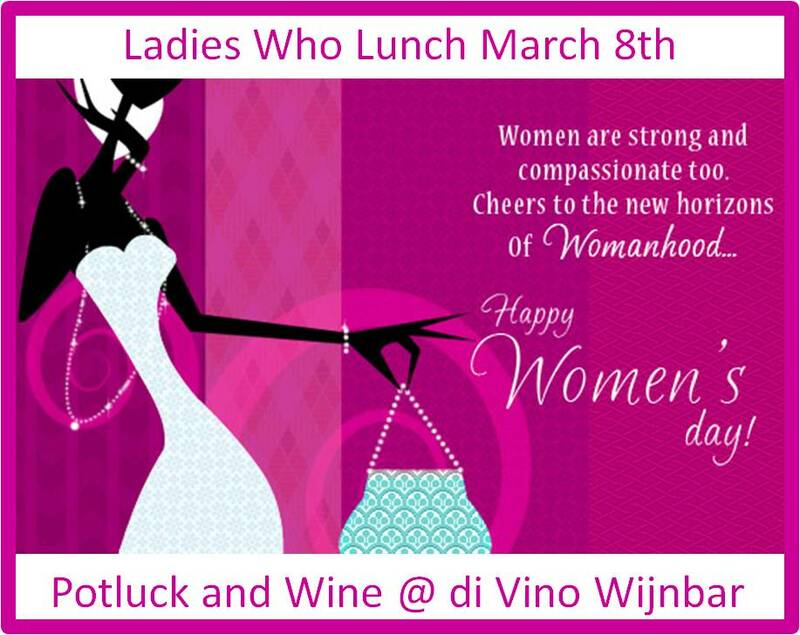 What a fabulous thing, a whole day dedicated to how amazing we women are! 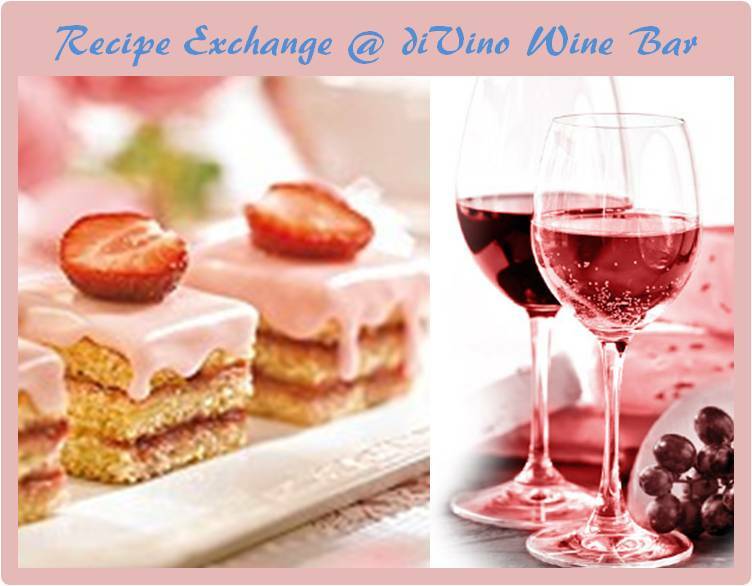 What a better way to celebrate it then to enjoy it over food and wine! This is in a potluck style event. So we’ll start eating around 1pm but please come anytime after 12pm if you need to prep, replate, whatever you need for your food. We will have full use of the Wijnbar kitchen. Come enjoy Amsterdam’s most authentic Italian wine bar and show off your skills in the kitchen! diVino is absolutely the place to enjoy the good things in life! All of the wines are driven directly up from organic/bio Italian family vineyards. And the inviting ambiance of the place will make you feel like you have been transported back to Italy! We’ll start at 1:30pm with a welcome drink so we can have an opportunity to meet one other before our mouths are too full! We will have full access to the diVino kitchen so you can rewarm, replate or serve your dish. I ask that each guest brings one of their favorite dishes, enough to feed at least 6-8 ladies. Be prepared to share the background or history of the recipes and why it is so spectacular! And either bring your recipe on a USB stick and we will email it to all the participants or you can type it out there on my computer.